Jacksons Lane arts centre is housed in an imaginatively converted listed Edwardian church in Highgate. It contains a 167-seat theatre which hosts many dynamic and innovative fringe performances, an 80-capacity dance studio, a stunning spring-floored dance rehearsal studio, two activity rooms and a foyer space also housing a cafe and bar. It has a strong programme of children's theatre, and welcomes touring companies from all over the world. 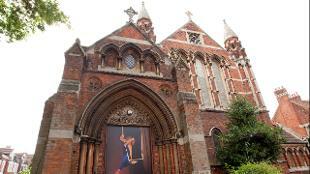 More recently, Jacksons Lane has become known for producing and promoting contemporary circus work. Is Jacksons Lane Theatre your business?